...An hour later, the entire crew perished. 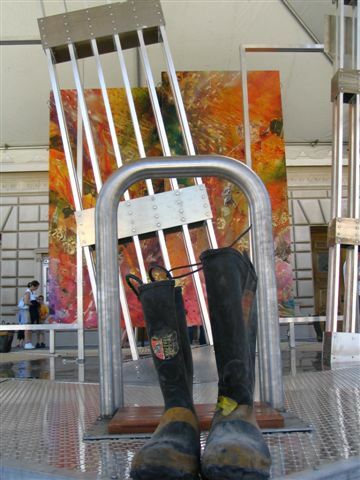 Ladder Truck #24 is immortalized in “ASH” Granite. A message drawn on the “ash” coating reveals the red paint below with the words "God bless NYFD" beam through. PASS emergency beacons sounded for days on the bodies of GZ firefighters, crushed under tons of fallen debris. I just wanted to say "Thank You' for giving so much so that we would all have something that we could reflect on and keep the memories and feelings alive. I'm sure you won't remember me, I met you at the FireHouse Expo in San Diego this past week (you gave me a shirt to wear for the Memorial). Although we talked for only a few brief moments, I felt your passion for the project and the kindness of your soul brought a smile to me and all others around you. I will keep the photo we took together, and use that as an inspiration that one person CAN make a difference in the lives of many, just by caring. Keep spreading the love and just wanted you to know that you are loved, too. Volunteering from all corners of the nation, thousands of Firefighters were exposed to GZ Toxins. 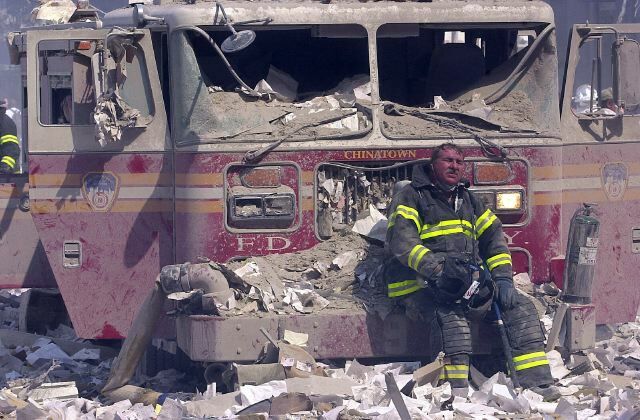 To this day, Firefighters all over the U.S. are still suffering and dying from the attacks of September Eleven. Firefighters, around the world, are daily exposed to a multitude of hazards. In the largest fire tragedy since 9/11, three veteran FDNY firefighters were killed while battling two separate apartment fires in brutal winter conditions. 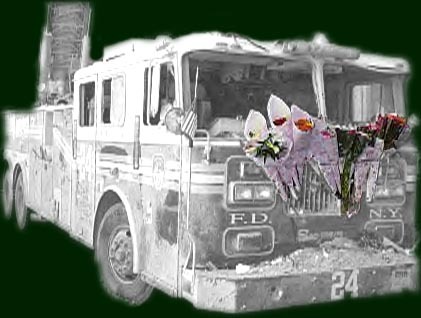 The WORLD MEMORIAL would like to honor the bravery and sacrifices of Lt. Curtis Meyran (46), Firefighter John Bellew (37) and Firefighter Richard T. Sclafani (37) of Bayside, Queens. Twice-decorated, FDNY Lt. Curtis Meyran and Firefighter John Bellew died when they and four colleagues were forced leap 50 feet from the burning Tremont building, due to a huge inferno blast. "They were faced with the horrifying choice of jumping from the fourth floor or being burnt to death," Mayor Bloomberg said of the duo, who leave behind a combined seven children. 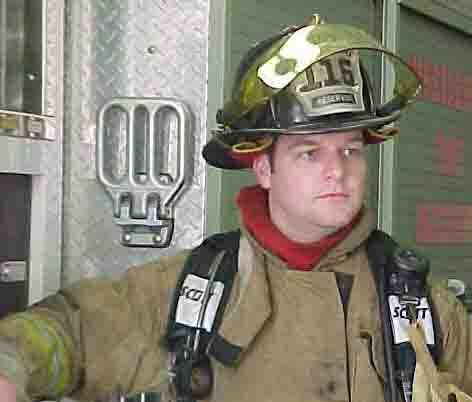 The four other firefighters were seriously hurt in the Bronx fire, including Brendan Cawley, whose firefighter brother died on 9/11, and Jeffrey Cool, whose bravery made him a news hero in August. The US Fire Rescue community has united in a common bond to help "brothers" around the world. BEAR Search and Rescue Foundation unites man's best friend in our global life-saving mission and GEAR-UP recycles rescue equipment & builds fire academies in poor regions around the globe. Click here to visit new Paramedics/EMT page.